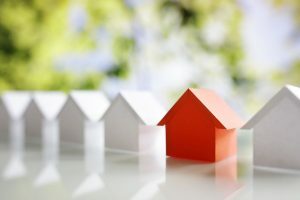 A regional price surge is set to close the London/Not London gap by up to 30% over the next four years, if Hometrack’s UK Cities House Price Index is on the money. Big cities like Manchester and Birmingham, as well as Scotland’s capital Edinburgh, are going to experience 30% house price hikes by 2022. These three important cities have had the biggest year-on-year growth – Edinburgh with 7.7%, Birmingham with 7.3% and Manchester with 6.7% – which means they’re catching up with London. In absolute terms, London house prices have almost doubled (86%) since 2009, the rate of growth has slowed down to just 1.6% year-on-year. This rise rate is lower than the UK’s average city rate of 5%; this 5% rise is also an improvement on 2016, which had an overall rise of 4%. We all know about the London highs of the last decade, with the property market recovering from the big 2008 crash, but the university cities of Oxford and Cambridge have also done really well, as has Bristol, where there’s been a 70% property price rise. In part, these rises are a result of the buyers who have been priced out of London. In the north things are a bit more sedate – Aberdeen has seen a rise of just 6%, despite it being one of the UK’s most vibrant cities in terms of jobs, higher education and manufacturing. Newcastle has done three times better than Aberdeen, but this is still only a growth rate of 18%. Still, a rise is a rise and it’s good for sellers outside of London and the South East and this northern growth should continue as long as there’s some help for first-timers and the mortgage rates stay low. It might, however, be a good time for buyers to make their minds up and move before those modest price rises become a bit more intimidating.